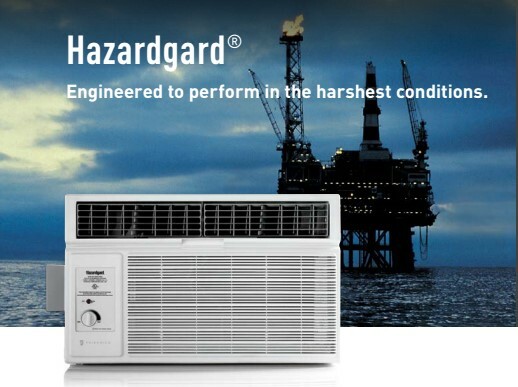 For more than 30 years, industrial professionals have trusted Hazardgard® to deliver safe and reliable cooling in the most extreme conditions. Hazardgard is specifically designed to cool laboratories, control rooms, living quarters, storage areas and other enclosures situated in hazardous locations; where specific volatile flammable liquids or gases are handled or used within enclosed containers or systems. ElectroFin® 5-stage, immersion ecoat process, or Diamonblue Advanced Corrosion Protection® on 100% of metallic surfaces on the outdoor coil provides outstanding corrosion resistance protection and extends the life of the unit, especially in coastal or corrosive environments.